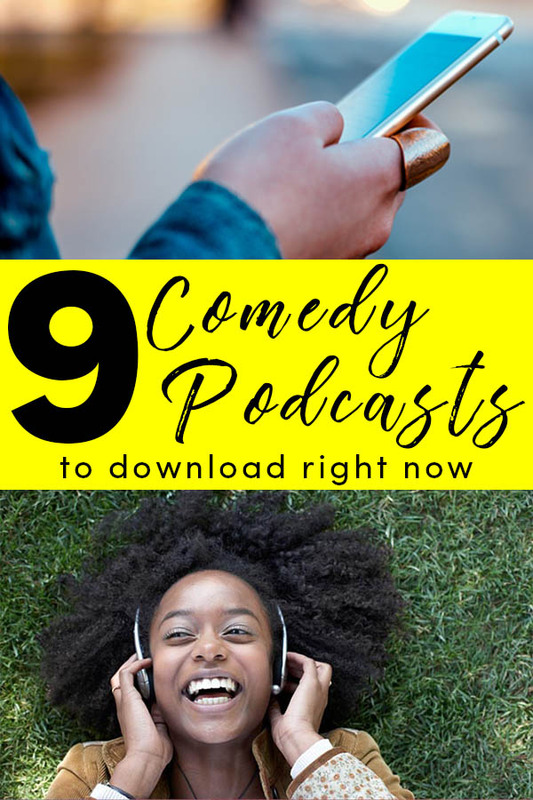 What do comedy podcasts have to do with healthy living? Everything. Laughter is powerful medicine for your physical and mental health. When life is hard, comedy can be just the healthy release you need. Laughter does more than just make you feel good. There’s evidence that laughter can help prevent or even dial back chronic disease, like dementia, and improve your relationships. So kick back with these podcasts, and prepare to LOL. I subscribe to way too many podcasts, and I’m not sorry! These are the comedy podcasts I turn to when I need a good laugh. Jon Lovett is a former Obama speechwriter and co-founder of the media company Crooked Media. Each week, Lovett hosts a live political comedy game show (Yes, that’s a thing now!) with comedians, actors and politicians as the guests. If the news right now is getting you down, let the Rant Wheel make it better. Comedians Phoebe Robinson and Jessica Williams host this WNYC podcast. Each episode is a recording from the weekly stand up comedy showcase they host in Brooklyn. What I love about 2 Dope Queens is that they focus on female comedians, comedians of color and queer comics. It’s a nice break from the very white, very straight, very male stand up comedy world you tend to find in more mainstream places. Vulture senior editor Jesse David Fox hosts this in-depth interview show. In each episode, he invites one comedian to break down one of their most iconic bits. It’s a fascinating dive into how the pros approach joke-writing, and the conversations are often hilarious, too. Fellow comedy nerds, I see you. Every week, Ira Madison III, Kara Brown and Louis Virtel talk pop culture through a social justice lens. And they do it with jokes! Even if you could not care less about celebrity news, their hot takes will have you doing spittakes. Like 2 Dope Queens, this is a recording of a live comedy show that bucks the straight-white-male tradition in American stand up. Cameron Esposito and Rhea Butcher host the weekly show at Upright Citizens Brigade in Los Angeles. You might know Cam and Rhea from their TV show, Take My Wife, which is a fictionalized version of their relationship and their journey into comedy. If you love sketch comedy, you are going to love Paul F. Tompkins’ improv podcast, Spontaneanation. Each episode begins with Paul interviewing a comedian and then talking with that week’s group of improvisers. Paul and the improvisers then weave themes from those chats into an original scene. This show is a spin-off of 2 Dope Queens. In each episode, Phoebe Robinson does an in-depth, often-hilarious interview with an actor, comedian or other performer. It’s yet another podcast that steps outside of the straight-white-male world of celebrity. Sooo Many White Guys runs in seasons, and at the end of each season, Robinson has a “token white guy” as the guest. “Is depression funny?” The answer to this question can be very personal. Host John Moe hopes that by talking openly about clinical depression in a sometimes-light-hearted way, he can help lift the stigma surrounding mental illness. Each episode features a personal, funny interview with a comedian who has dealt with mental illness. Comedians Erin Gibson and Bryan Safi “take a weekly look at all of the issues important to ladies and gays and treat them with much less respect than they deserve.” But don’t worry – they still take issues surrounding feminism and gay rights seriously. They just talk about them in a way that makes you want to laugh instead of cry. You may still want to punch things, though. They’re comedians, not wizards with the power to instantly alter reality. 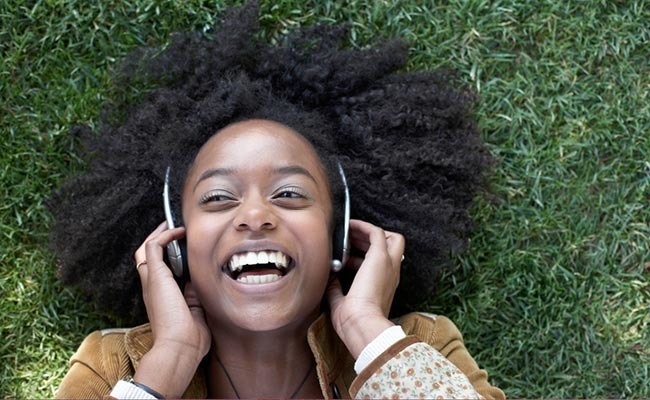 Which comedy podcasts turn you into the goofy person chuckling to herself in public? I tried some. NOT very funny!